The new Library is now open! 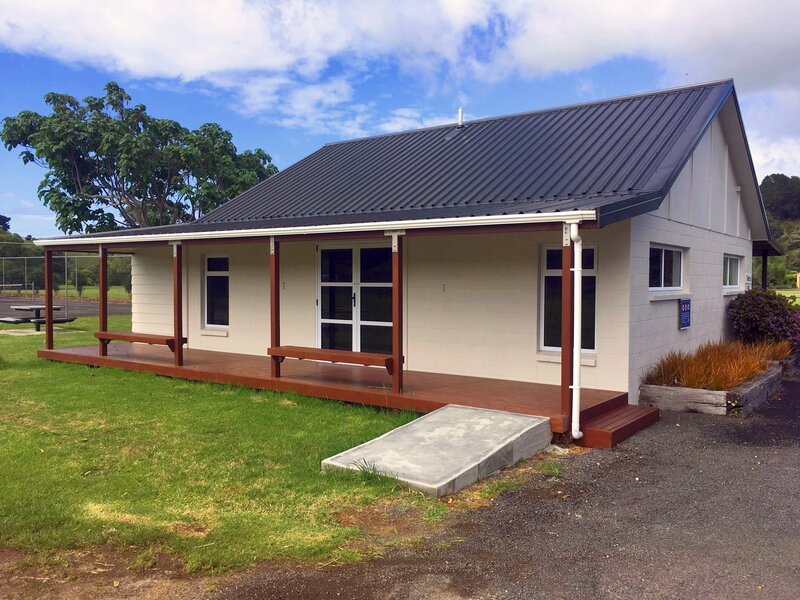 The Kuaotunu Library Committee is delighted to report that the library building has been completed on time and within budget. We would like to thank TCDC, the Domain Board, Carters, Guthrie Bowrons, and our hardworking community, for their generous donations of money and time towards this project. 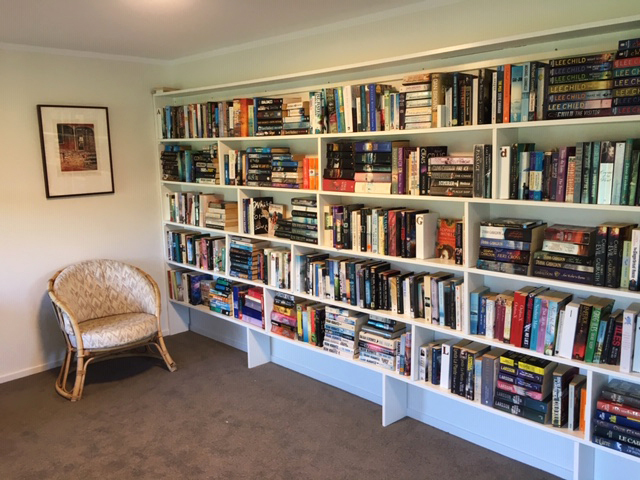 Books from the existing hall library have been relocated along with donated books from Mercury Bay Library, local authors and residents. It is planned to hold a book sale of any surplus books with all proceeds going toward the new library running costs. People are welcome to come and visit and register their membership ($10 per annum per family). Donating good quality books (preferably published within the past 10 years), a small issuing table or desk, children's bean bags, or a small vacuum cleaner. With these fresh new premises offering ease of access, we look forward to an expansion to the regular membership from the hall facility. Any enquiries and/or offers of help, please contact Denise on 866 0450. The Community Plan is an important document reflecting the key values of the residents and ratepayers of Kuaotunu. This includes how we manage ourselves and how we interact with TCDC and other community bodies. As most of you will be aware, the existing Community Plan written in 2009 is being revamped to reflect the views of the current Kuaotunu community. The committee have broken the constituent parts of the old plan into a questionnaire and by now everyone should have received a copy and hopefully responded to it. In 2009 there were 40 respondents, we now have input from over 200 which is an excellent response and thanks to everyone who completed the survey. The responses, including the written commentary, will be published on the Kuaotunu website and at selected locations for everyone to review and will be discussed at a public meeting to be held on February 3rd. We will also agree at the public meeting how the plan will be put into action in partnership with the community. This approved plan will then feed into the TCDC revised community plan which is currently under review. You may remember media coverage last year about Vinnie Russell’s petition (which received over 380 signatures) to have a mini skateboard ramp (a half pipe) built on the Kuaotunu Recreation Reserve (i.e. the Domain). The KRRA Committee wholeheartedly supports the building of a community facility that will give our young people an opportunity for healthy and enjoyable physical activity in the outdoors. The Committee has therefore agreed to help raise the $70,000+ required to make this project happen. You can see the plans here. An application for funds to one of the gaming trusts has already been made, but all funding providers want to see that the local community is contributing its own funds to the project. For every dollar contributed locally, funding providers will typically put in another two dollars, sometimes more. If you support this project, please make a donation to the KRRA bank account (38-9018-0281956-00) with the words “half pipe” in the Reference field. Together we can make this happen! Did you know we have a moa visiting us lucky folk in Kuaotunu? It hails from Otama originally and its bones have been gifted to one of our residents, Roimata Taimana. Roimata has put together a display of the bones showing the size of this particular giant flightless bird, endemic to NZ. Although it can only be guesswork, it is believed moa arrived in NZ circa 60 million years ago and became extinct sometime in the 15th century. 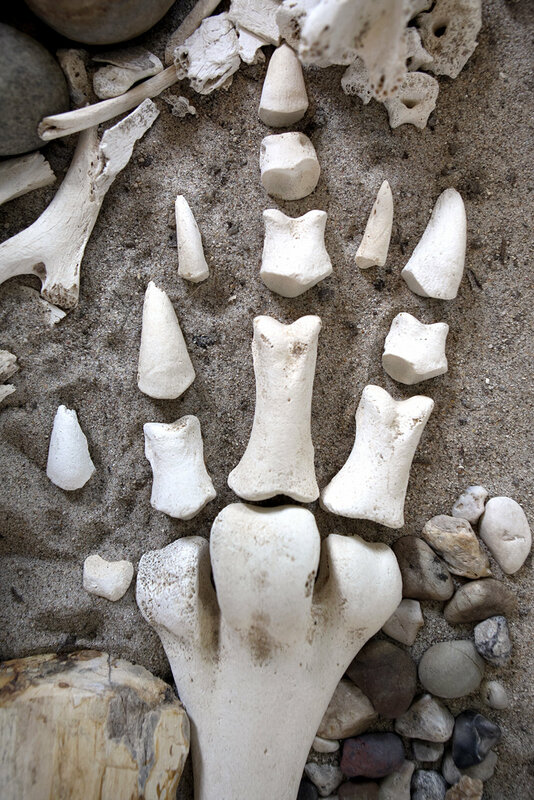 Roimata displayed the bones to people visiting the recent 10 Artists exhibition in October. Everyone was very interested in the huge toes and claws of the bird and the smooth stones it used to grind down the vegetation it consumed. Roimata will also be taking the display to the Steiner Kindergarten to show to the children. Keep your eyes peeled as the skeleton of this gentle giant will be exhibited on a regular basis at selected events in and around Kuaotunu. Before you leave home, clean your footwear and walking poles, every time, getting rid of every speck of dirt. Keep on the track and off kauri roots - dogs too please. On some tracks this summer you’ll see kauri ambassadors encouraging people to do the right thing. You can help too - set a good example for the people behind you, and if you see anyone not observing the rules, be brave… Take a deep breath and explain nicely why it’s important. If you’re stuck for ideas, a kauri from Kauri 2000 makes a great Christmas present for friends and family – and you can come and help plant them! To donate to Kauri 2000 visit www.kauri2000.co.nz. 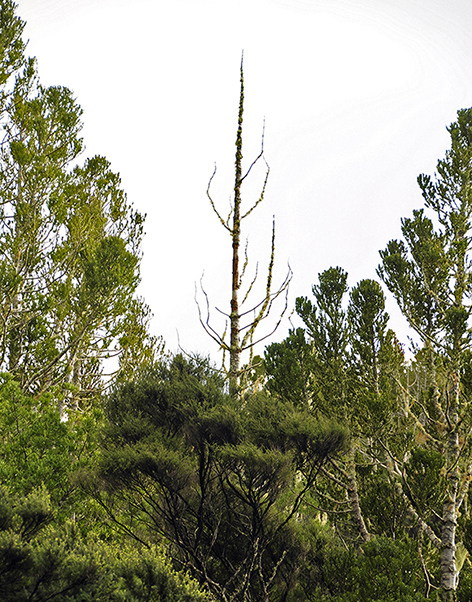 To learn more about dieback, check out www.kauridieback.co.nz. 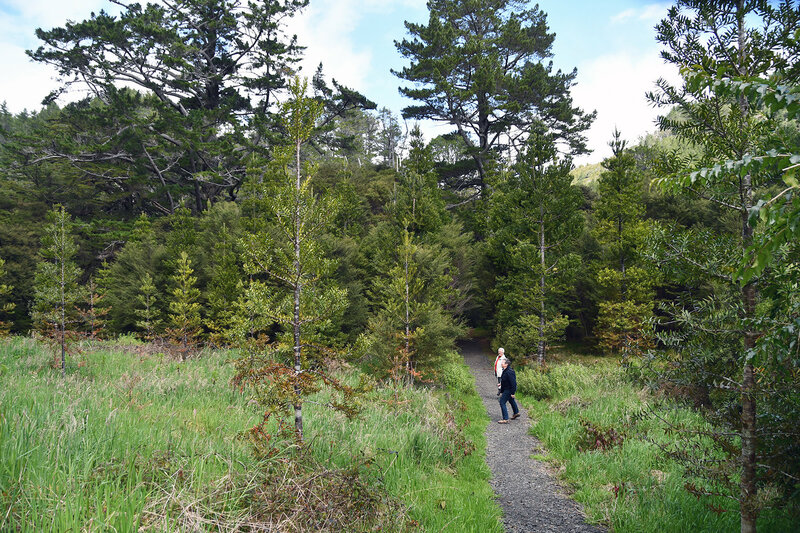 Pic 1: Kauri 2000 plantings at the Waitaia loop track, planted in 2000. Pic 2: A dead kauri at Whangapoua, killed by kauri dieback disease. 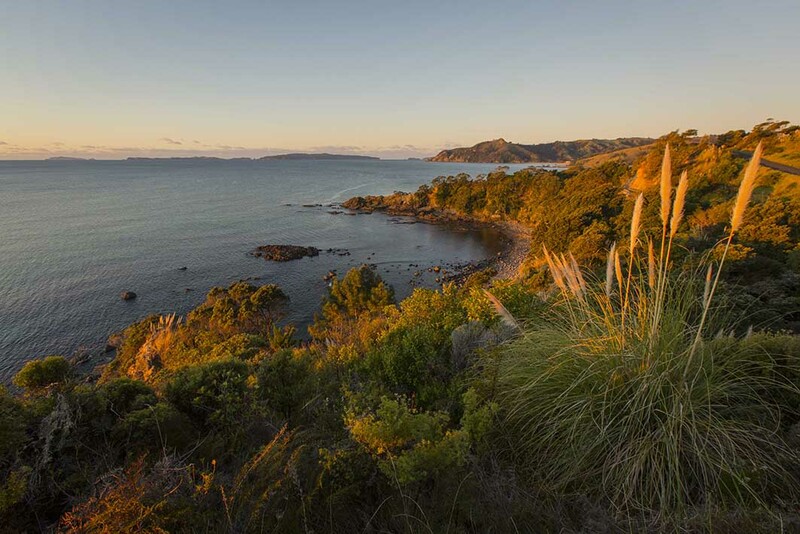 A new photography book capturing the spirit of the people of Kuaotunu, Matarangi, Whangapoua, Otama, Rings Beach & Opito has been published by Felicity Jean Photography. 'A Colourful Community' was launched with a gathering in the Kuaotunu Hall on the 7th of December. There was a wonderful and diverse mix of people from our community that came along for the social occasion and to buy the book. Flea said she was excited to have the freedom to capture candid shots of locals who contribute to our community and share some of their interesting occupations. The book is for sale in the little shop next to the Kuaotunu Store, at Lukes Kitchen in the new year and at the Matarangi Gift Store. The grand square is $150 and the medium square $75. The Hall Committee is delighted to announce that another piece of history is now proudly displayed in the Kuaotunu Hall, in the form of a stunning display case crafted from the kauri wood from the original hall foundations. The display case contains a rugby ball signed by members of the Kuaotunu Football Club when celebrating the 100th anniversary of the club. The ball was gifted to the Hall Committee by Ian Simpson. 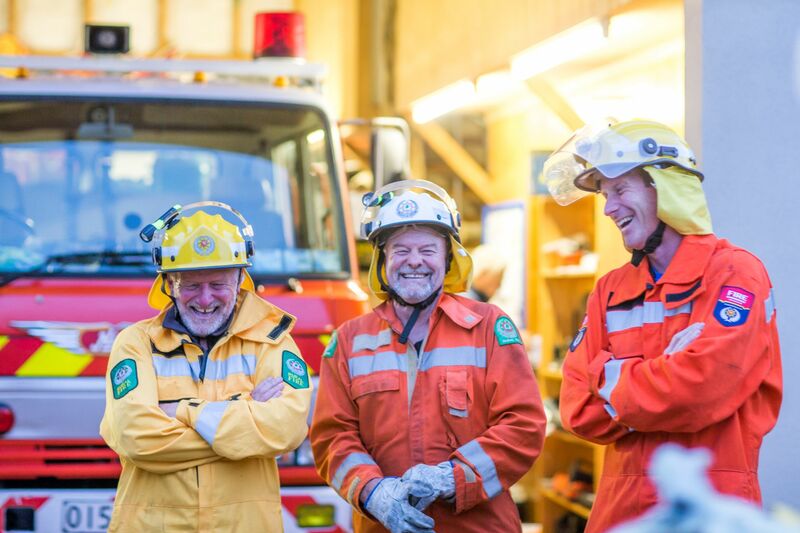 The Hall Committee sincerely thanks Hamish Noble for the donation of his time and his expert craftsmanship for the display case, and Worthy Windows in Whitianga for donating the safety glass. 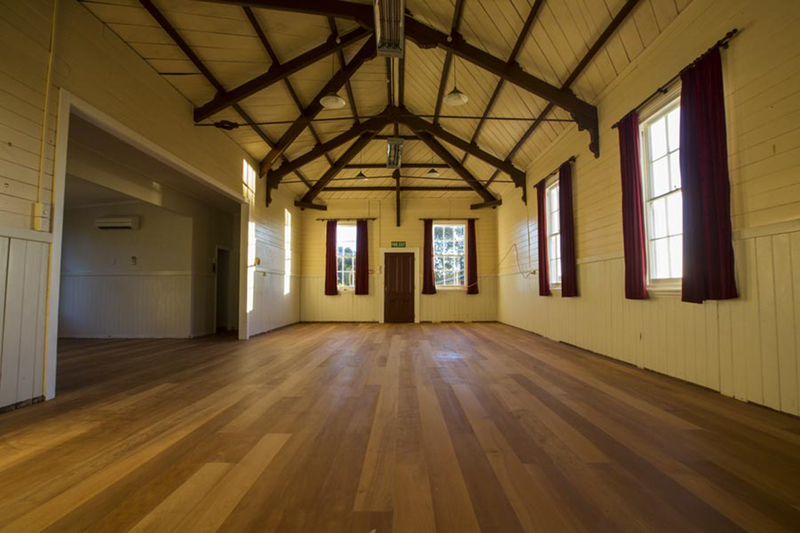 The major project funded by the Hall Committee this year was to repair and re-paint the interior of the hall – walls, roof and rafters – in keeping with the style of the time. Painting of other areas is ongoing. Kuaotunu is fortunate to have excellent yoga teachers offering a range of classes to stretch out our bodies. Now a new yoga class has recently started in the Kuaotunu Hall for anyone from beginners to young at heart ‘Third Agers’. This includes anyone in need of a slower class or who wants to ease gently into exercise. If you are any of the above, or have injuries or physical challenges but want to have the structure and support of a regular group to stay motivated, this could be the class for you. If so, please join Jose Kakabeeke in the Kuaotunu Hall on Saturdays at 9am. For more details contact jose.kakebeeke@gmail.com. This newsletter is brought to you by the Kuaotunu Residents and Ratepayers Association Inc.
We’d love your feedback on this issue - please email your thoughts and suggestions to info@kuaotunu.nz. Like to contribute an article to this newsletter? We welcome contributions about events, happenings, projects etc that are relevant to the Kuaotunu community (maximum of 250 words, please). Please note that the Newsletter Editor has the final say regarding content and may edit content if required. To find out more about the Kuaotunu Residents and Ratepayers Association, such as the date of the next meeting, how to join, agendas and minutes of previous meetings, etc, please visit the Kuaotunu website. You are welcome to attend any committee meetings, these are usually held on the third Thursday of the month.